This workshop is perfect for artists, developers, educators or anyone interested in experimenting with the Raspberry Pi. Learn how to setup and turn your Raspberry Pi into a standalone machine for installations from the ground up. Starting from a fresh Pi we’ll be learning how to install various flavors of linux, access basic networking and video playback. We’ll also dive into writing our first programs to wire LED’s, buttons and motors. Everything you need to know to get the Pi set up and running your own projects! The Pi is a cheaper alternative to a full computer setup; especially used in groups or in a network. How do we use one in an install? Learn about Raspberry Pi networking basics and getting it talking to the internet. Get down with some Linux to transfer files, run apps and navigate around the filesystem. Learn how to optimize and run your already existing sketches, apps or video files on the Pi. 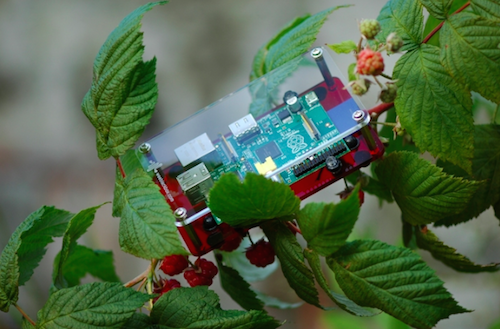 We will also discuss uses for some Raspberry Pi accessories; such as WiFi, cases, camera modules and sensor hookups. Pairing with your Phone or iPad and general installation debugging. Please bring your desired Raspberry Pi components, cables and accessories… we’ll try to share if we can. If you have any ideas for something you’d like to build bring them too! Bruno Kruse is a New York based digital artist and developer. His recent artwork focuses on creating tools to develop interactive installations. He utilizes technology to create meaningful experiences and is motivated by an ongoing curiosity of designing with code.